A year after reaching the World Series, the average asking price for a seat at a Dodgers game in 2018 has risen nearly 17 percent, according to TicketIQ.com, from $79 to $92. That number is the highest since TicketIQ.com started tracking data in 2010. The Dodgers lost the World Series to the Houston Astros in seven games in 2017, extending their World Series drought to 29 years. The last time the Dodgers reached a World Series was 1988, when they beat the Oakland A’s in five games. 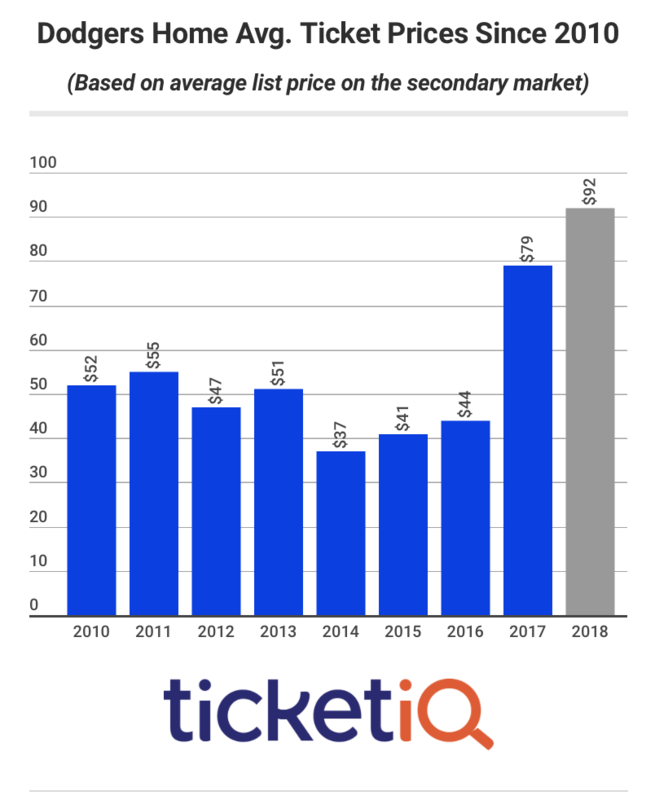 From the beginning of the decade until 2016, the average ticket price for a Dodgers game hovered between $40-$55, with the exception of 2014 ($37). But with all the hype around the 2017 team, which won a whopping 104 games (the MLB record is 116), prices and interest have soared. It doesn’t hurt that the team brought back All-Star outfielder Matt Kemp, who previously played in L.A. from 2006-14. Opening Day will be no exception. The current asking price for a chance to the see Los Angeles play the rival San Francisco Giants at Dodger Stadium on March 29 is $262. 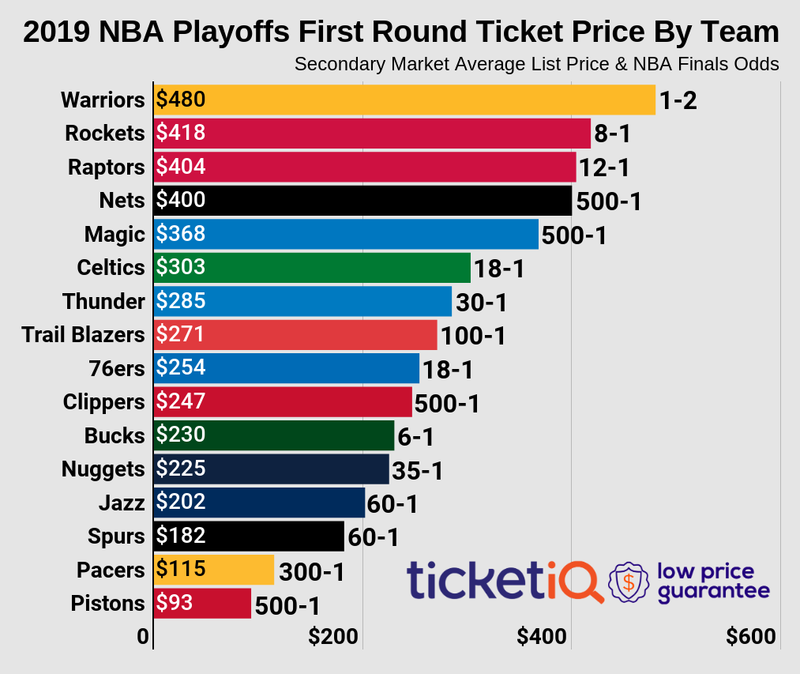 Comparatively, that number is 20 percent higher than in 2017, when an Opening Day ticket cost $218, but it is not the most expensive OD ticket of the decade. Fans paid an average of $302 in 2015, a year after winning consecutive NL West titles. The Dodgers have now made the postseason for a franchise-record five consecutive seasons. Also of note in 2105 – the Dodgers became the first team in MLB history to have a payroll of more $300 million. The least expensive Opening Day ticket of the decade was in 2010, when fans paid an average of $152.